Dr Shira Kim Ghyoot is a proud graduate of the New Zealand College of Chiropractic. She is skilled in a wide range of Chiropractic adjusting approaches and uses techniques specific to the needs of her patients. She has also completed specialised pediatric studies which enables her to effectively care for babies, children and pregnant women. Her background as a competitive swimmer also helps her effectively help all sorts of athletes. She is also ACC registered to care for injuries to extremities as well as the spine (no GP referral needed). She is inspired by all the positive changes she sees in practice on a daily basis and is experienced in helping children with ASD and their families. She is particularly passionate about helping children with learning and behavioural challenges and also loves helping expecting mums through their pregnancy, birth and beyond. In addition to practice, Dr Shira serves on the council for the New Zealand Chiropractors’ Association and has also been an assitant lecturer in technique at the New Zealand College of Chiropractic. She is a keen public speakers and has spoken at many events targeted at both medical professionals and families and loves helping people from all walks of life get the most from their health. Dr Shira has completed a post graduate diploma in Health Science, with a focus on physical activity nutrition and gained access into the masters program-something she intends to do once life with her young family quietens down. She is a keen foodie and in constantly creating new, healthy and tasty creations which she shares with her practice. Stay tuned for her specialised cook book designed specifically to help mums introduce solid foods to their babies at correct times and then continue feeding their family nourishing, delicious and inspired meals to take them right the way through their development. Dr Lorene Dennis has enjoyed the benefits of Chiropractic Care since she was a baby. Now, with children of her own, including a daughter with Down Syndrome, she has been on a wonderful adventure exploring the latest techniques that she can use to help all families, especially those with different abilities. She is among a select group of NZ Chiropractors to hold a Diplomate in Chiropractic Neuro-developmental Paediatrics, from Melbourne. Dr Dipal was born and brought up in Auckland. She discovered Chiropractic after suffering from poor health and receiving no benefit from medications and specialist help. Since starting care she noticed a huge difference in her quality of life. It is this experience that inspired her to become a Chiropractor to help others to discover the benefits of care. Dr Dipal has a keen interest in paediatric care and uses a range of gentle techniques to help you achieve your health goals. 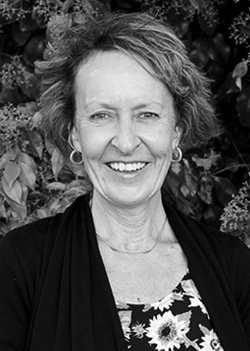 Debbie Janes is a highly qualified Chiropractic Assistant and Practice Manager with over twenty years experience caring for children of all ages. She specializes in creating a kind and friendly healing environment that places you and your family at ease from the second you walk in the door. Her ability to communicate in simple terms, in particular with children with special needs, is the often the beginning of the road to recovery for their parents as well.